The Canadian government is one step away from issuing an emergency protection order to protect dwindling caribou herds in Alberta and BC after finding them under imminent threat. In other Forestry news: BC adds firefighters for the upcoming season; Alberta plans to monitor its forest fires by satellite; Nova Scotia approves a pesticide to fight the beech leaf weevil; and Arizona fires have already destroyed 33 homes. In Business news: the lumber supercycle means share gains for Canadian forestry companies; while builders in New Mexico and developers in Minnesota blame Trump’s duties for the higher lumber costs. Elsewhere, China ups its quarantine checks on US log imports only days after meetings to ease trade tensions. Finally, Alberta’s Jason Kenny declares war on the “green left”, BC’s Andrew Weaver says we must “internalize externalities”; and Vancouver’s ‘wood whisperer’ (Brent Comber) provides a behind-the-scenes glimpse of his studio. Japan has one surefire sign of spring every year: the bright, gorgeous petals of the cherry blossom trees floating in the air. It may be part of their beauty that the cherry blossom blooms are short-lived, but you can’t help wishing they would stay around a little bit longer. So why not build an everlasting tree out of thousands of LEGO bricks? That’s just what they did at LEGOLAND Japan in Nagoya to celebrate their first year of operation, and the result is stunning. Canada’s major forestry companies are riding an industry upswing as their share prices soar despite trade disputes with the United States and delays in shipments. For investors big and small, the stock rally since early 2017 has been a welcome sight in a sector that has gone through a series of economic downturns. 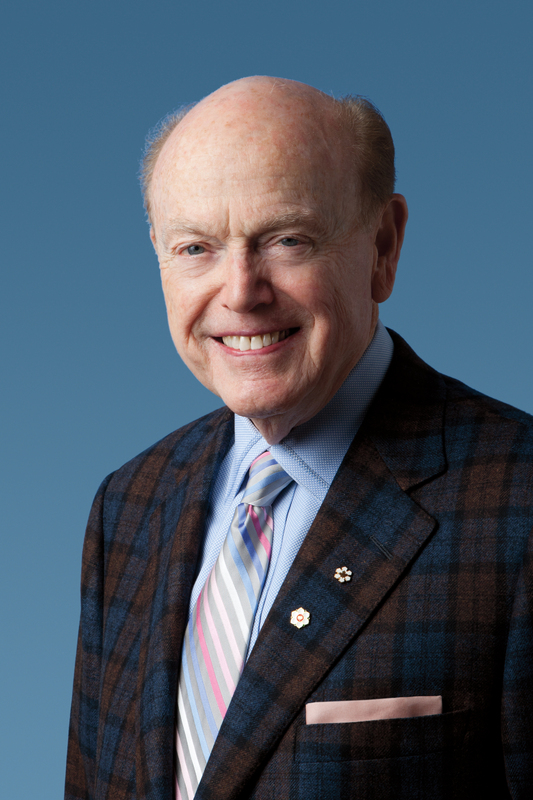 “It’s a cyclical industry, and cycles come and go,” business magnate Jim Pattison, who has invested heavily in B.C. forestry companies, said in an interview. 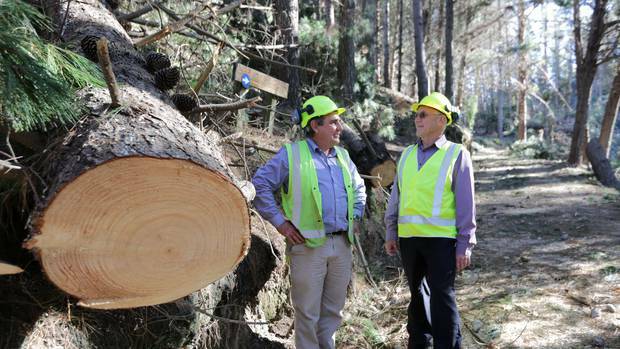 “The key is to take advantage of the cycles when the time comes.” Analysts say forestry firms have invested heavily in new technology to become more efficient at sawmills, including the use of sensors and lasers to make the most of each log. Mr. Pattison points to the evidence on the shop floor. “You go through a mill, and it’s a lot different [than] when you used to go through. New technology has moved in,” said the 89-year-old billionaire. How does the pace of Fort McMurray’s wildfire rebuild compare to Slave Lake? Town of Slave Lake officials aren’t surprised Fort McMurray is still rebuilding after a wildfire raged through the community. The 2011 Slave Lake and 2016 Fort McMurray wildfires are not an apples–to–apples comparison. 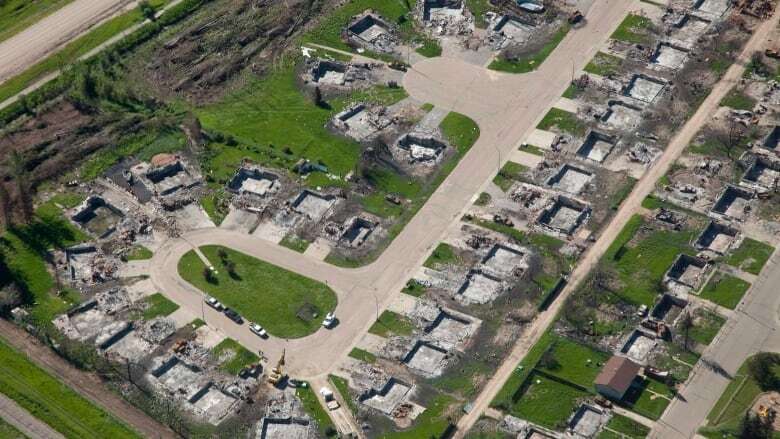 …Fort McMurray’s damage was much worse. But when it comes to the pace of the rebuild, the Town of Slave Lake’s CAO Brian Vance said Fort McMurray is rebuilding at the same pace. Vance knows that’s little comfort to those still out of their homes. …In 2011, the Slave Lake wildfire destroyed 374 properties. Five years later, the Fort McMurray wildfire ruined 2,579 homes. …Two years after the Fort McMurray wildfire, 523 or 20.3 per cent of the homes destroyed have been rebuilt and passed final inspection. …Many resource sectors are seeing long-term jobs decline. Meanwhile, the world is struggling to address the threats posed by climate change, spurring a major technological revolution. Future economic growth lies in… harnessing the climate crisis to drive innovation and new, more efficient technologies in the resource sector. …My caucus and I hear a common theme from resource businesses, industry groups and local governments — the economic value of B.C.’s natural resources does not remain in our communities. In forestry, sawmills close as raw log exports persist. …There is no need for this… After the Midway Mill closed in 2007, the town raised capital to invest in a technological overhaul and reinvigorate the mill. At the Wood Innovation and Design Centre in Prince George, students learn how to bring design, technology and forestry products together to develop innovative high-performance wood products. BEIJING – China’s main ports will step up quarantine checks on imports of apples and logs from the United States, and shipments found carrying disease or rot could be returned or destroyed, the Chinese customs agency said on Monday. 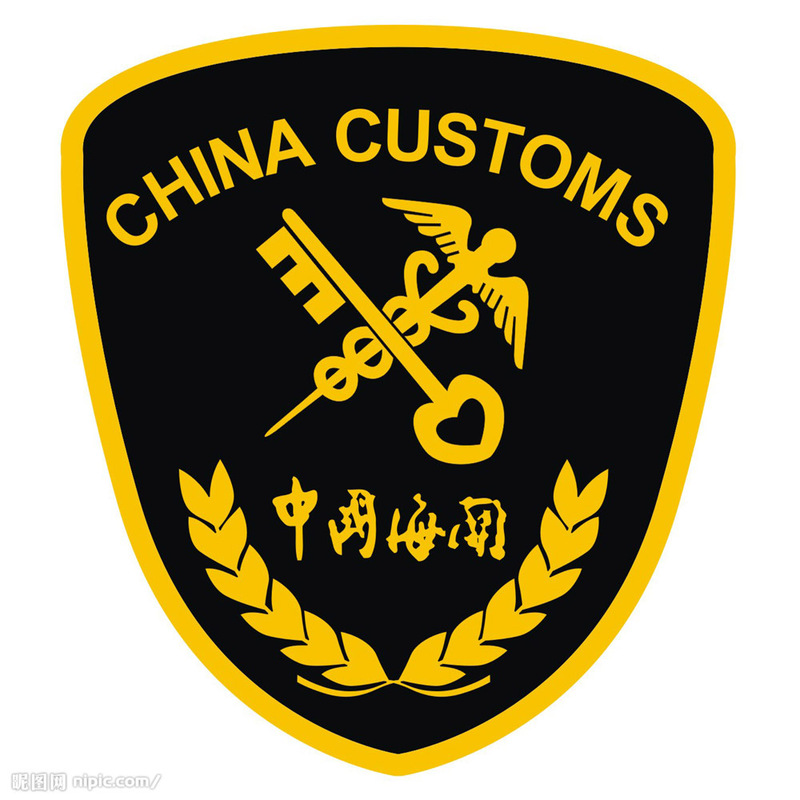 …“Recently, pests were detected in apples and logs imported from the United States at the ports of Shanghai, Shenzhen, Qingdao, Xiamen and others,” the Chinese General Administration of Customs said in a statement posted on its website. If apples or logs are suspected of carrying pests, samples will be sent to laboratories for inspections, and while the tests are under way goods will not be allowed to pass through customs. …The measure was announced days after a U.S. delegation led by Treasury Secretary Steven Mnuchin visited Beijing for two days of talks aimed at easing trade tensions between the world’s two biggest economies. ALBUQUERQUE NM — It takes a lot of lumber to build a house, and the price of that wood has gone way up recently. John Garcia, executive vice president of the Home Builders Association of Central New Mexico, said his members are grappling with higher lumber costs in part because of a 20 percent tariff the Trump administration slapped on softwood timber imports from Canada. …And on top of that, last year’s devastating hurricanes and floods in Houston and Florida and deadly wildfires in California created a surge in demand. As a result, prices have jumped an average of 30 percent year over year, said Garcia. …And that, he said, could sideline some buyers, especially first-timers, who are usually a huge driver of new-home sales. MANKATO, MN — Longtime developer Mike Drummer knows house and apartment construction is booming from the number of jobs he has lined up. But while he drives around the area as the cold-delayed construction season begins, he has another indicator of a building boom. …Last fall the Trump administration imposed 20 percent tariffs on softwood lumber from Canada and U.S. prices have risen 22 percent since. Steel products have also soared, fueled both by steel tariffs enacted by the president and by booming demand for steel in China and the U.S. …The National Association of Homebuiders says rising lumber prices have already increased the average price of a single-family home by $6,400 since January of last year. Brent Comber never planned to go into woodwork, but he’s now known as a “wood whisperer” because of the way he molds stunning objects from cast off pieces of wood. 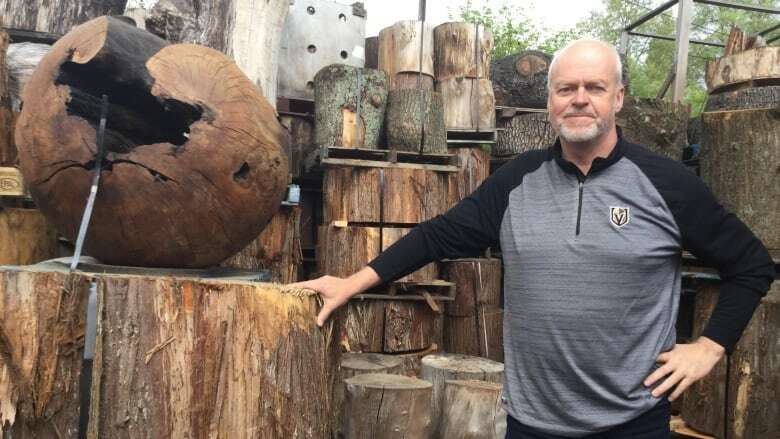 His work is on display across the world — pieces like the Shattered Spheres at VanDusen Botanical Garden, made from trees knocked down in Stanley Park during a 2006 windstorm. The wood he uses comes from all over the province, from old maple trees that have come down in farmers’ fields to industry leftovers. …The tables and chairs he creates are as much art as they are furniture. He finds the beauty in the bark’s seams, knots and splits, he says. …He opened up his studios and invited visitors to see his process this week as part Crafted Vancouver, a month-long celebration of local art makers. Rune Abrahamsen developed an interest in timber as a student during the 1994 Winter Olympics in Lillehammer, Norway. While most spectators were watching the action on the arena floor, he says, his gaze was fixed on the timber ceiling, fascinated that such huge structures could be made from wood. More than 20 years on, Abrahamsen is part of a team constructing an 18-storey wooden tower that will be the world’s tallest timber building when it’s finished in March 2019. 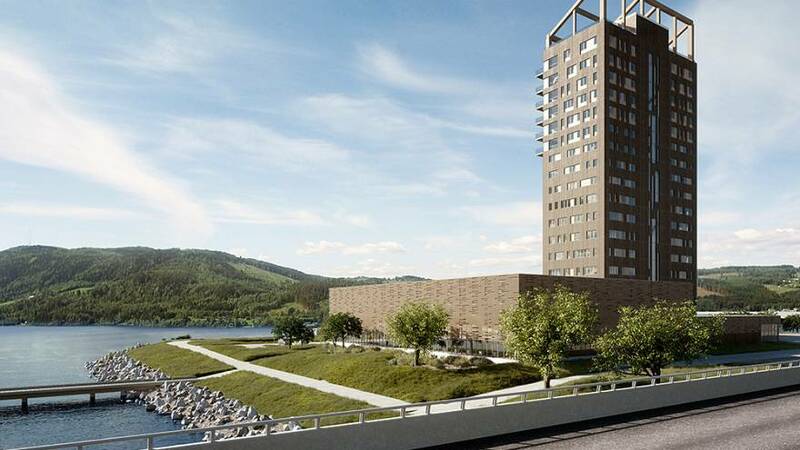 Located in the small Norwegian town of Brumundal, the 80-metre-high Mjøstårnet building will house a hotel, offices, apartments, and restaurants, with a swimming hall attached.Abrahamsen’s company supplies the timber used in the building: a flexible, durable material called glulam, which is made from wood that has been planed (or smoothed) and glued together to form strong columns and beams. Private land on both sides of Highway 6 from about two kilometres north of Cottonwood Lake to the south end of the Apex cross country ski area will be logged this summer or next. Because it is on private land, the owner, Nelson Land Corporation headed by Mike Jenks of Cranbrook, has limited rules to follow and does not have to tell anyone about his plans. It is unknown where or how large the cut blocks will be and whether the forest will be clearcut or selectively logged. The land to be harvested could include the forests around Cottonwood Lake (except the small area of the park on the northwest end of the lake) and the slope immediately above the Apex ski area, and all of the land in between on both sides of the highway. EDMONTON — The federal government is one step away from moving in to protect dwindling caribou herds in Alberta and British Columbia after finding them under imminent threat. The finding, released by Environment Canada on Friday covers 10 herds in the Southern Mountain population. They are all smaller than 100 animals and continue to decline. Seven are in British Columbia and the rest are all or partly in Alberta. “Immediate intervention is required to allow for eventual recovery,” says a department document. The finding obliges the environment minister to ask cabinet to issue an emergency protection order under the Species At Risk Act if the two provinces don’t do enough to remove threats to the herds’ recovery. Emergency protection orders allow Ottawa to control activity on critical habitat that is normally governed by the provinces. That would include energy development, forestry and agriculture. While I’m most happy Eagle Heights’s Kosilah River Forest has finally been rescued from clearcutting, this $7.15-million buy from Island Timberlands is also a reminder of the massive areas of old-growth biodiversity we have already lost to logging. Loggers were apparently so impressed with the Koksilah’s stunning example of old growth in Eagle Heights they set it aside for more than a decade while Victoria talked about buying and saving it. That idea was backed by Premier Horgan while previously serving as Malahat-Juan de Fuca MLA. He has made good on his promise, using taxpayer and donated private funds for the Koksilah River forest purchase as parkland. Sadly, the verdant Kosilah River park area — holding sacred sites to Coast Salish people — is surrounded by clearcuts that would draw jail time in countries such as Germany. KAMLOOPS — The province is bringing in some more help to fight lower intensity wildfires. “In looking ahead to the upcoming fire season the BC Wildfire Service posted on BC Bid a request for proposal for Type 2 fire crews,” said Forests Minister Doug Donaldson. “So, they’re looking to procure 16 contracts for 8-person crews, so 128 more people that meet the Canadian Interagency Forest Fire Centre exchange standards.” Donaldson made the announcement of the additional 128 Type 2 fire crews on the second day of the Interior Logging Association Conference in Kamloops. These fire fighters will assist with wildfires that present a lower risk to safety, such as those that are considered contained, under control, or in mop up. Two massive northern Alberta wildfires sparked an idea among some University of Alberta students… The U of A was among 15 universities who learned Friday that they will receive funding from the Canadian Space Agency to design and build a cube satellite — a powerful satellite that is about the size of a loaf of bread — which will launched into space in either 2020 or 2021. The mission of the Alberta satellite, named Ex-Alta2, will be to monitor forest fires and fire risk on Earth, said Callie Lissina, a third-year mechanical engineering student and the AlbertaSat project manager. 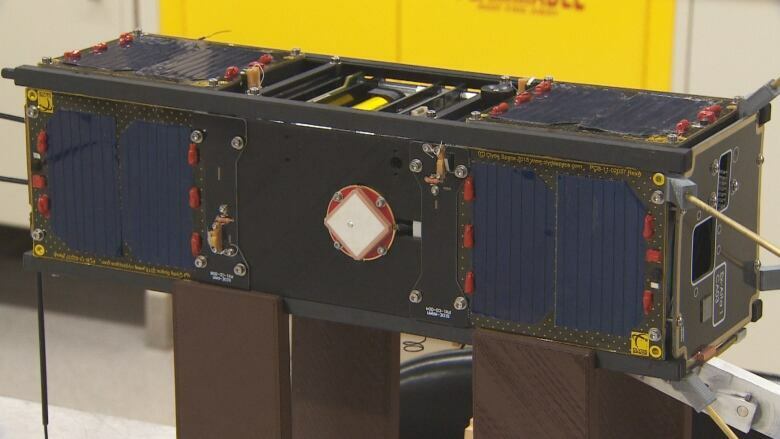 “We’ll put a computer, a radio and a bunch of other instruments on the satellite to enable us to take photos of the Earth and download them so we can identify forest fire risk areas and actively monitor burning fires,” she said in a interview with CBC’s Radio Active. This year, for the first time, a pesticide is available for use against an invasive bug that has been slowly killing beech trees across Nova Scotia. Jon Sweeney, a research scientist with the Canadian Forest Service in Fredericton, has been testing the pesticide TreeAzin against the beech leaf-mining weevil since 2013. He said it can be injected into the trees in fall or early spring. 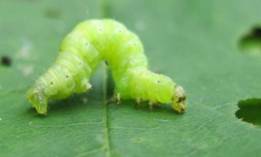 …TreeAzin, an insecticide derived from the neem tree, kills weevil larvae when they bite into the beech leaves. Although it doesn’t kill adult weevils, Sweeney said, this still helps to decrease the population. …Sweeney said although TreeAzin is good for use on high-value trees in residential areas, it’s not practical for use in larger beech forests. Trees must be injected individually, which takes labour and money. …His team is just beginning to research biological controls, having recently received the funding. 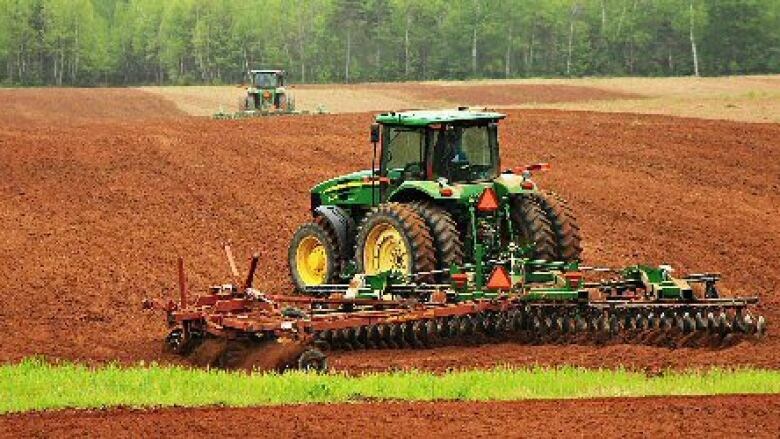 A plan to convert 700 acres of P.E.I. Crown land from agricultural use to forestry is facing criticism not just from an Opposition MLA, but from the minister responsible for the province’s climate change action plan. That plan still hasn’t been released to the public. But in the legislature Friday, the PC MLA for Souris-Elmira said a farmer from his district is being forced to give up agricultural land he’s leased from the province for decades, and Lavie said he doesn’t understand why. … … After question period Brown told reporters the initiative is part of the province’s climate change action plan, expected to be officially unveiled next week. “We want to see as much of the land as we can reforested,” Brown said. But he said he’d like to see his government do that without taking agricultural land out of production. The sprawling Tinder Fire in Arizona has destroyed 33 primary homes and 54 minor structures since it was sparked by an abandoned illegal campfire two weeks ago, officials said. Fueled by grass and understory, the wildfire in Coconino National Forest stretches over an estimated 15,841 acres. With the efforts of about 400 personnel with equipment — including 8 crews, 4 helicopters, 20 engines, 5 dozers, 1 water tender and other support staff — the blaze is 79 percent contained, officials said. The Coconino County Sheriff’s Office had ordered evacuations last week for communities north, east and west of Highway 87. The evacuation order for communities in Blue Ridge were lifted on Friday, and residents began returning to their homes. Just south of the Oregon border, pink rosettes of lewisia bloom among rocky outcrops. Clumps of fire-adapted Baker cypress cluster along steep slopes. These rare species are among the 300 native plants growing in the Cook and Green botanical area on the Klamath National Forest. Perched on the Siskiyou Crest northeast of Happy Camp, this hotspot of biodiversity is part of a vast mature forest that stretches south into the Trinity Alps and north through Oregon into Washington. …The scientists who designed it intentionally enlarged these reserves to allow for fire and the natural recovery process. Forests older than 80 years are protected from logging unless it will help create old-growth forest conditions. 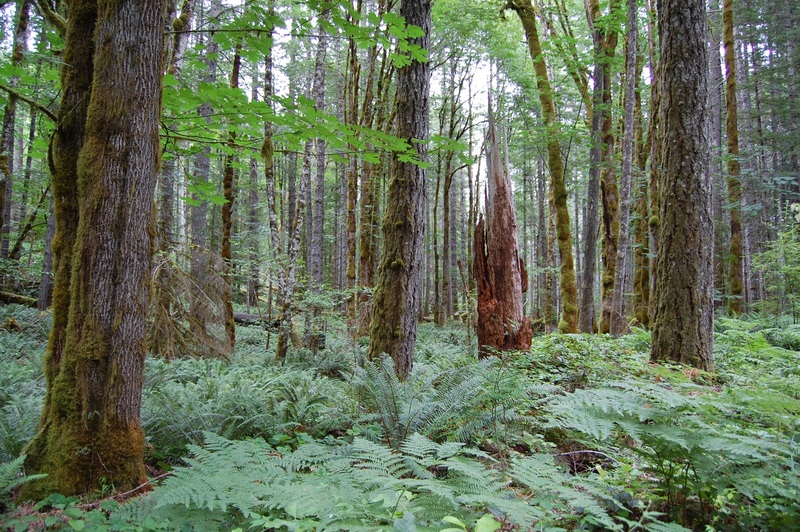 …Logging large burned trees in old-growth stands does not contribute to their recovery. A long-running dispute that could determine the future of the north side of Mount Hood, whether it’s conserved as largely untouched wilderness or becomes home to a large destination resort, has hit another snag. The dispute involves about 700 acres of wilderness in and around the Cooper Spur inn and ski area, an area long eyed by owners Mt. Hood Meadows LLC as a potential site for expansion. The swap would see that land protected in exchange for valuable real estate in Government Camp, where potentially hundreds of new housing units could be built. The proposed trade touches on issues of great import to many Oregonians — conservation, land use and development on the state’s tallest mountain — and has been in the works for nearly a decade. SOUTH PORTLAND, Maine — The Maine Forest Service is readying to release parasitic flies to help control the pesky winter moth population. …The state says the adult flies will be released into the forest Wednesday as part of an effort to curb the spread of moths. The flies are attracted to the oak leaves that are damaged by the winter moths. The flies are expected to lay eggs on the leaves, where they will be eaten by moth caterpillars. The fly eggs will then hatch in the gut of winter moth caterpillars and parasitize them. The moths have defoliated tens of thousands of acres in Massachusetts, and they are also present in Maine. BISMARCK—It’s been more than a decade since fire raged through grass and into the ponderosa pines west of Amidon in 2004, burning a relatively narrow strip some 6 miles long on private and public lands in the Little Missouri National Grasslands.Removing some fuel from the 7,000-acre footprint of the state’s only ponderosa pine forest is one way to prevent a catastrophic result should fire come again.The U.S. Forest Service, along with the North Dakota Forest Service, plans to remove live trees and fallen tree snags on five priority areas encompassing 676 acres on public grasslands starting this year.Shannon Boehm, Medora District ranger for the Forest Service, said the work will complement some thinning by the state Forest Service on adjoining private lands, all of it intended to help prevent severe damage in the event of another wildfire. 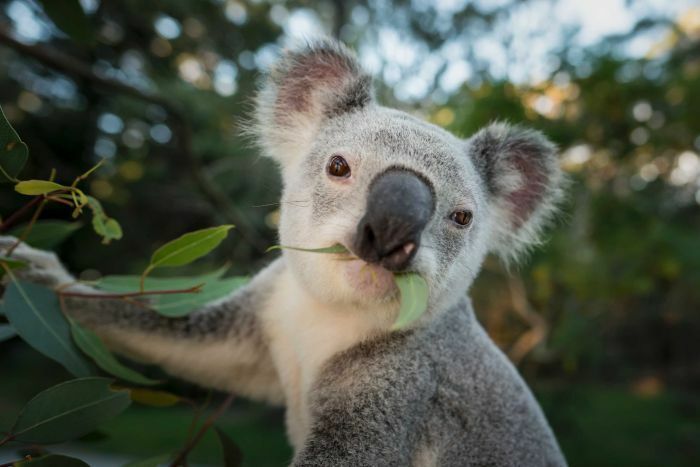 A $45 million intervention package to protect the threatened koala population has been announced by the New South Wales Government. Thousands of hectares of land will be set aside for koalas, which have fallen in population by about 26 per cent over the past two decades in NSW. Almost 25,000 hectares of state forest in the mid-north coast will become a koala habitat. A new koala hospital will also open at Port Stephens to care for sick and injured koalas, under the new measures to protect the iconic Australian species. …Dr Johnson said the strategy was exciting as it “embeds science as policy”. 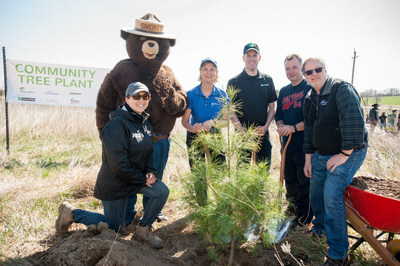 “It’s an excellent first step … the most important thing is trees for them to live in, and leaves for them to eat,” Dr Johnson said. First the Minister of Employment gave Northland College a $350,000 work training scheme, then he talked hardball, and then he played gutterball. 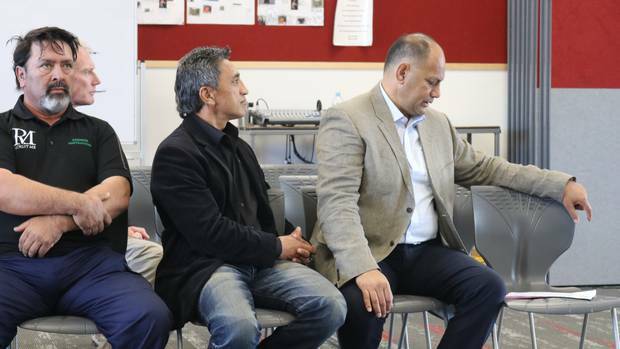 Willie Jackson was at the low decile Kaikohe high school yesterday to announce the Northland College Pine Project, funded by a chunk of the He Poutama Rangatahi initiative. The Pine Project training scheme will be centred on the college’s forestry block, teaching life and work skills to young people who might otherwise be headed for educational failure and unemployment. He Poutama Rangatahi is a $13.27 million fund over three years to bring alive a strategy dealing with entrenched unemployment. Northland, Eastern Bay of Plenty, Tairawhiti and Hawke’s Bay are the four regions targeted first. In his April 21 op-ed “Our forests can make Oregon the first carbon-neutral state,” Dominick DellaSala proposes that the state can achieve this feat by disincentivizing wood production from our forestlands. He believes that Oregon’s forests have the potential to be a large carbon sink, and that they should be managed to more aggressively offset emissions from other sectors. …DellaSala alludes to the fact that Oregon’s forests are already sequestering huge amounts of carbon. What he doesn’t tell you is that this is true across all ownership classes. Federal forestlands, state forestlands and private industrial forestlands are all growing more trees every year than are harvested or lost to wildfire or mortality….But rather than praise Oregon forest landowners for being part of the climate change solution, DellaSala proposes that they bear ever more of the burden.